I don't even know your number, and you don't even know my name. At his club night Hopkins would mainly play records by Wire, New Order and Le Tigre, supplemented with mainstream pop and hip hop. Similarly, there is a pop immediacy coexisting with an expansive, experimental element inside the music they make themselves. Incorporating the two sides are vital when writing a TRAAMS song, as Hopkins elaborates; “we really want to push both those areas as far as we can. We like seeing people dance and having fun but we also want to be noisy and aggressive. It’s fun trying to strike a balance and seeing how far we can push it.” The band claim Mclusky, Abe Vigoda, Pavement, Television, and Women as influences and Hopkins specifically cites Stephen Malkmus, Iggy Pop, and Tom Verlaine as songwriters he admires because they all make what he calls “skewed pop”, a term that fits TRAAMS’ sound snuggly. Hopkins embraces the limitations of being a three-piece; “you have to work a little harder to fill the sound out. I think it’s healthy, it means that everything has to balance in the simplest form and work live.” When he talks about the aspects of Krautrock that draw him to the genre he cites “the repetition, its confidence in its simplicity.” TRAAMS work completely collaboratively, each member bringing different sections and parts to the songs which are gradually worked on in the practise space. The band recorded their first set of songs in November 2011 with Rory Attwell and continued to work with the producer throughout 2012. 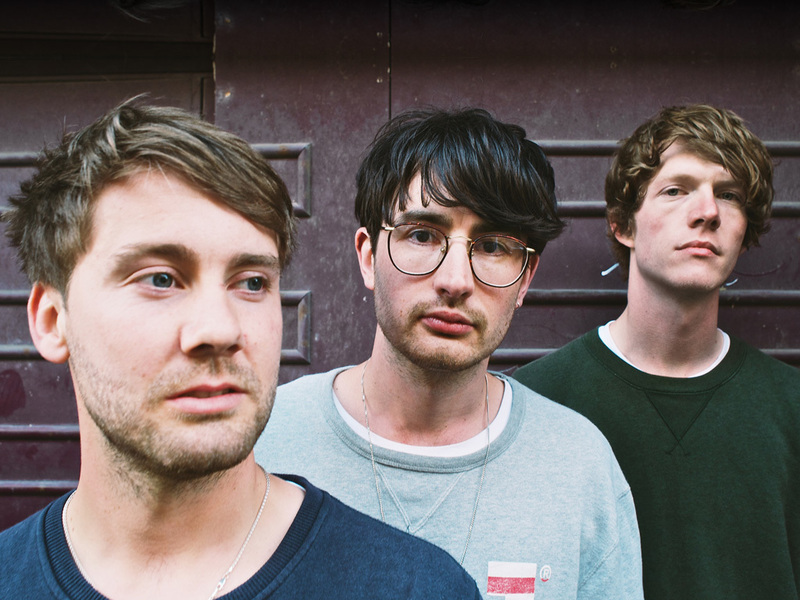 In February 2013 they recorded more songs with MJ from Hookworms at his Suburban Home Studio in Leeds to complete the aforementioned debut EP, ‘Ladders’. Having already shared stages with contemporaries such as Parquet Courts, Dope Body and FIDLAR, and wowed audiences at Talinn Music Week in Estonia, TRAAMS are rapidly leaving the sleepiness of their hometown behind and hurtling towards an exciting future.